Valery Gergiev and his Mariinsky forces have been frequent guests in Brussels over the last 25 years: quite an extraordinary feat in itself, if you think about it. Several visits were memorable events, yet this all-Russian programme ranks as one of the finest I heard them perform in a long time and easily tops my list of favourite concerts this year. An absolutely thrilling journey with privileged guides, encompassing the mysterious fantasy world of Rimsky-Korsakov, Stravinsky’s neoclassical outings as well as Tchaikovsky’s crushing emotional outpourings. Familiar repertoire it may be, but it emerged here with astonishing freshness and impact, reconfirming that old cliché that it takes Russians to play their own music. Categories: Concert reviews | Tags: BOZAR, Igor Stravinsky, Marc Haegeman, Nikolai Rimsky-Korsakov, Orchestra of the Mariinsky Theatre, Pyotr Ilyitch Tchaikovsky, Russian music, Valery Gergiev | Permalink. The concept of a concert devoted to a single composer may not be that rare after all, as was demonstrated by this performance of the Mariinsky Theatre Orchestra under Valery Gergiev in Antwerp. The Russians brought a full, and as it turned out, very long evening of Tchaikovsky music in the splendidly refurbished Elisabeth Center in downtown Antwerp. A copious selection from The Nutcracker, the First Piano Concerto introducing whiz kid Ivan Bessonov, and the Fourth Symphony formed a program that ran well over three hours. Any lover of Tchaikovsky’s or Russian music will naturally welcome such a generous evening, yet as to why it ran so long was bound to raise a few eyebrows. This concert, which I could attend thanks to the generosity of the organizing company Cofena, resembled to some extent Valery Gergiev’s recent Tchaikovsky CD on the Mariinsky label, coupling The Nutcracker with the Fourth Symphony. It had much the same qualities and flaws as on the recording. Overall these were analytical rather than emotional performances. The sonority of the Mariinsky Theatre Orchestra was admirable throughout. As an ensemble they are hard to beat. Even with their grueling performance schedule, they still do better than most. 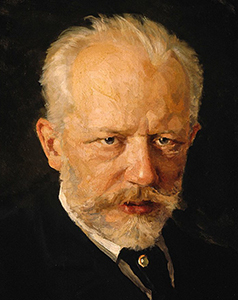 The characteristic emphasis on darker tones, punctuated by the lower strings and brass, works extremely well for this late-Tchaikovsky ballet and the symphony. Gergiev opens up the sound with meticulous precision and he lets you hear details you may never have noticed before. Yet this now comes at a heavy price. Many of his tempi have become slow to the point of inertia and some of his pacing impossibly contrived. The concert started late, but that’s not unusual with maestro Gergiev, and it opened not with the scheduled Overture of The Nutcracker but immediately with the Departure of the guests. His handpicked selection largely emulated Evgeny Mravinsky’s famous live recording from Leningrad, although unfortunately that is as far as the comparison went. For this being the most exciting section of the ballet, including dramatic passages like the Battle with the mice, the Pine forest in Winter and the Waltz of the Snowflakes, Gergiev’s traversal turned out to be a pretty uneventful affair. There was orchestral detail to delight within every bar, and one would be hard-pressed to find an ensemble that knows this music better than the Mariinsky, but where was the life, the imagination, the frisson that sets these pages apart? For a conductor who has given us one of the most electrifying recordings of The Nutcracker on disc (in 1998), Gergiev appears to have developed a bizarre attitude towards the work. Or perhaps he simply wasn’t there yet this evening. The climaxes sounded flat and underwhelming and while the orchestral balance favored the – otherwise superb – lower brass, I could hardly hear the timpani from my seat at the back of the parterre. By the time they tackled an uneventful Waltz of the Flowers and a dangerously dragging Andante maestoso it seemed everybody had given up. Some 20 years ago I heard Gergiev and the Mariinsky in a complete Nutcracker concert. They blew off the roof with their full-blooded reading, displaying magic and drama in every bar. Yet hearing this now, this seems like a very long time ago indeed. The best part of the evening was undoubtedly the performance of 15-year old Ivan Bessonov in Tchaikovsky’s 1st Piano Concerto. Born in St. Petersburg in a family of musicians, Bessonov has been playing the piano since he was six. He garnered the first prize in several youth competitions, among others the International Frédéric Chopin Youth Competition (2015) and the International Anton Rubinstein Competition The Piano Miniature in Russian Music (2016), both in St. Petersburg, as well as the international Grand Piano Competition for young pianists in Moscow. Long and lanky, with a mop of hair, he resembles a 1970’s rock star. His performance of the Concerto was by all means quite astonishing – for any age: keyboard touch and color were impressive, his technique rock-solid. But above all he appeared fearless, undisturbed by a few slips in the beginning moments. His musicality seems pretty straightforward, for now devoid of too many distracting mannerisms and tics. There is no doubt this man is going to go places. The clarity of his articulation and the directness of his delivery were completely matched by Gergiev who appeared in a much better doing here than the rest of the evening and secured a thrilling performance, deservedly greeted with a standing ovation. Every time I hear Gergiev conduct Tchaikovsky’s Fourth Symphony, I am less convinced by his approach. The mannerisms seem to increase by the season, as does the running-time. In the concerts from 2011 the Fourth was already by far the least persuasive of the Tchaikovsky symphonies cycle and Gergiev’s recent CD recording only confirmed the impression of artificiality and incoherence. He clearly has something special in mind with this work, but what exactly is anybody’s guess. Gergiev’s unwarranted lingering in the first and second movements produced far too many drops of tension. In effect, by now the symphony has fallen into a succession of episodes, some undeniably beautiful (as the opening of the slow movement, thanks to the magnificent Mariinsky woodwinds), others merely bland (as the return of the fate motif in the first movement, or the endless conclusion of the Andantino, due to Gergiev’s obsessive scrutiny of every orchestral detail), but eventually inconsequential. Even the buoyant Scherzo failed to take flight. The symphony is too drawn out, takes forever to end, and fails to make any impact as a whole. One could argue that Gergiev overplays the symphony’s dark beauty, but in the process he has totally smothered its passion and excitement. The Lullaby and the grandiose finale of Igor Stravinsky’s Firebird which allowed the orchestra to open its big guns one more time, was a very generous encore for an already long evening. Of the dozens of concerts and operas conducted by Valery Gergiev I attended in the last 25 years or so, this has to be one of the most dispiriting. Works that once sounded great in his hands now fizzled out or morphed into cluttered, unconvincing personal statements. Yet, not all was lost, as this concert allowed us to get acquainted with a rare new talent, Ivan Bessonov, from whom we will surely hear again in a not too distant future. Categories: Concert reviews | Tags: 17 January 2018, Antwerp, Cofena, Elisabeth Center, Ivan Bessonov, Marc Haegeman, Mariinsky Theater St. Petersburg, Orchestra of the Mariinsky Theatre, Pyotr Ilyitch Tchaikovsky, romantic symphonies, Russian art, Russian music, Symphonies, The Nutcracker, Valery Gergiev | Permalink. The Russian music season at the Bruges Concertgebouw continued with a visit of Mikhail Pletnev and his Russian National Orchestra (RNO). They brought a solid program of Shostakovich, Rachmaninoff and Tchaikovsky, and although the organizers billed primarily on Rachmaninoff’s famous Third Piano Concerto, highlighting the young Korean Seong-Jin Cho as soloist, it was by and large Tchaikovsky’s Swan Lake that became the most memorable event of the evening. 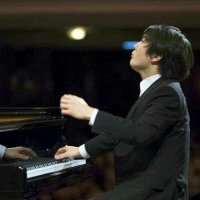 Winner of the latest International Chopin Piano Competition, championed by the almighty Valery Gergiev, and a contract with the famous yellow record label fresh in his pocket, Seoul-born Seong-Jin Cho (22) seems firmly set on the tracks of an international career, come what may. His debut Chopin disc is a multiple platinum seller in his home country and, as we are told, like many of his talented young colleagues he brings flocks of newcomers to classical music. His performance of the Rachmaninoff Third was nonetheless underwhelming. Once the pleasant discovery of his excellent technique and crystal-clear articulation gone, we were left with a soloist who was musically mostly at a loss with Rachmaninoff’s lyrical outpourings. Cho played his Rachmaninoff hard and loud, invariably so, and without much sense of direction or imagination. He wasn’t drowned out by the orchestra, yet his habit to attack loudly backfired soon when he reached the limits of his piano before the climaxes. There was little or no trace of individual coloring or emotional engagement. Mindful of the composer’s predilection for color, this was gray, deadpan Rachmaninoff. All the notes (well, most of them) were there. But there was nothing behind them. Some passages were brilliantly executed (the Più mosso section in the first movement), yet others suffered from ill-judged rubato or misplaced and banged accents (the first movement cadenza). At times it sounded like a Prokofiev concerto, but in the end, the most satisfying passages were the orchestral ones, transparent, detailed and often beautifully shaped by Pletnev – as the introduction of the Intermezzo, or the remarkable espressivo played by horn, bassoons and clarinet that closes that movement. The audience clearly weren’t averse to cold fish and gave Cho a standing ovation. So much for reputations. The concert opened with Shostakovich’s Festive Overture, Op. 96, always an irresistible curtain-raiser. However, after the break the Mikhail Pletnev enigma fully took shape again with a stunning rendering of a handpicked selection of Tchaikovsky’s ballet music for Swan Lake. Not the usual 6-part suite, but a different and more elaborate survey arranged by Pletnev himself. And while his complete studio recording of Swan Lake on disc is to my mind one of the dullest, inane versions from recent years, in concert the Pletnev magic worked again. It’s not just the recording engineers who seem to disadvantage him on many of his discs, it’s also his way with the score which turns out to be so much more fascinating in concert. With an outstanding RNO he galvanized Swan Lake into a compelling cocktail of color and atmosphere, beautifully poetic and full of fairytale magic, with that typical Tchaikovsky mix of theatrical drama and aristocratic elegance always in perfect balance. The pure dance sections were particularly well characterized: light-footed in the Pas de trois variations, grand and stately in the Pas des coupes from Act I. The dramatic narrative scenes (the extensive symphonic finale of the ballet) thrilled with tremendous power and impact. The RNO appeared totally responsive and without a weak spot in the ensemble. The orchestral balance was even in the wildest scenes superb, the dynamic range impressive. The vivid string playing always a joy to behold. Woodwind solos, so important in this work, were astonishing, especially the oboe from Olga Tomilova, leading all the great themes, and the flute from Maxim Rubtsov. Brass and percussion knocked you out of your seat. Orchestra leader Alexei Bruni and principal cello Alexander Gottgelf performed ravishing solos in the Pas d’action (the White Swan pas de deux for the ballet fans). One regret perhaps. This Swan Lake selection begged for more and I would rather have had the ballet music in full than Seong-Jin Cho’s tryout in the Rachmaninoff. But other than that pure Russian concert magic. 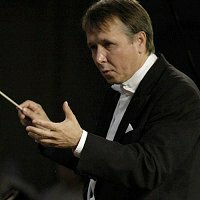 Categories: Concert reviews | Tags: Alexei Bruni, Concertgebouw Bruges, Dmitry Shostakovich, International Chopin Piano Competition, Marc Haegeman, Maxim Rubtsov, Mikhail Pletnev, Olga Tomilova, Pyotr Ilyitch Tchaikovsky, Russian music, Russian National Orchestra, Seong-Jin Cho, Sergei Rachmaninoff, Swan Lake | Permalink. Mariinsky MAR0593, 2 SACD (Includes multi-channel 5.0 and stereo mixes), 129 min. Valery Gergiev frequently returns to music he recorded earlier. Nothing wrong with that, of course, but curiously I still haven’t heard a refill of his that actually betters the older attempt. 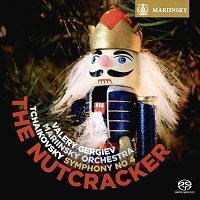 And this isn’t happening either in this new release on the Mariinsky label, coupling his 2015 re-recording of Tchaikovsky’s Nutcracker and Fourth Symphony. Gergiev and his Mariinsky Theatre forces gave us a magnificent Nutcracker back in 1998. After the marketing hype for being “the first complete Nutcracker on a single CD” had settled, this not only turned out to be a tremendously exciting high-voltage traversal, a riot of color, but also a visionary piece of fantasy-theatre with a dark undercurrent that dumped most other recordings of the ballet in the candy store kids department. Most of all, it had a clarity of purpose and the sparkle of discovery. Fast-forward to 2016 and here is Gergiev again with the same orchestra. Gone is the sparkle of discovery and so is the vision that electrified the older recording. It’s not exactly a bad Nutcracker (actually it’s pretty good one when compared to other recent attempts by Rattle, Järvi and Pletnev), but it’s simply not as compelling or revelatory as the previous one. That Gergiev is marginally less fast (84 against 81 min), is not the main issue (although the Chinese Dance is now bizarrely heavy-footed and the Andante maestoso of the Pas de deux suffers from several drops of tension – for example from 2 min. 20). More important is that this Nutcracker has lost its edge and momentum. Gergiev still reveals a detailed, often dark palette of color and it’s always a delight to hear the superb Mariinsky Theatre Orchestra in their repertoire, but the fact remains that overall this is a less focused, much cozier, play safe reading, taking its place among the many. It suffices to listen to the long dramatic passage starting with the Departure of the Guests through the Waltz of the Snowflakes. The Battle is now a whole lot less eventful and fierce, and Gergiev’s pacing in the ensuing Pine forest and the Waltz no longer grabs you by the hand (or the throat) as he did so brilliantly in his older disc. The Mariinsky recording is warm and detailed, emphasizing the lower brass to good effect, although the timpani could ideally have been balanced more forwardly. What prevents me from giving this release a wholehearted recommendation however is the recording of the Fourth Symphony. Tchaikovsky’s Fourth has to my ears always been the least successful of the six in Gergiev’s hands and this recent take seems to have gone even further south. The flaws and mannerisms of the earlier live recording filmed in Paris in 2011 (available on DVD and Blu-ray), or noted in the concerts I attended that year, are now a major letdown. Gergiev seems bent on underplaying the anguish of this symphony with an ultra-refined treatment and extra careful tempi. Yet the result is a first movement that sounds hesitant, almost timid, with climaxes that make no impact whatsoever. Gergiev’s tempo fluctuations are often gratuitous, and nowhere more so than in the development section just before the return of the fate theme. Worse, the Andantino is no longer in modo di canzona but resembles a sluggish religious procession which turns in circles. The Scherzo makes a better impression, while the Finale kicks off with plenty of drive and brilliant orchestral playing, only to return to dragging mode when the main theme is heard in the strings only (at 3 min. 45). Again, there is so much to admire in the playing of the Mariinsky Orchestra (what beautiful woodwinds), but it all feels like a huge waste. For the Fourth Symphony the old (now historic) favorites Mravinsky, Svetlanov, Fricsay, Karajan, and others still hold their ground, while for the full-length Nutcracker one can safely stick with Dorati, Jansons, Rozhdestvensky, and… Gergiev 1998. Categories: CD reviews | Tags: 19th century, ballet, ballet music, Kirov, Marc Haegeman, Mariinsky Theatre, Mariinsky Theatre Orchestra, Piotr Ilyitch Tchaikovsky, Pyotr Ilyitch Tchaikovsky, Romantic, Russia, Russian ballet, St. Petersburg, The Nutcracker, Valery Gergiev | Permalink. Conductors might start to think twice before programming Tchaikovsky’s Manfred Symphony in London. Back in November 2002 the famous Russian maestro Evgeny Svetlanov was scheduled to head the Philharmonia Orchestra in an all-Tchaikovsky program at the Royal Festival Hall, with the rarely performed Symphony as the main course. Sadly, Svetlanov died some months before the concert. And now again, it was Lorin Maazel who would guide the Philharmonia through Manfred’s dramatic wanderings, yet he passed away last summer. On both occasions Vladimir Ashkenazy, the orchestra’s Conductor laureate, jumped in and while both maestros leave an irreplaceable void, there is no doubt that Ashkenazy saved the evenings in the most brilliant way. Of course, Ashkenazy as well as the Philharmonia share an excellent record with Tchaikovsky’s Manfred. Ashkenazy’s account with the Philharmonia from 1977 has stood the test of time rather well, while the orchestra also recorded the Symphony with Paul Kletzki and Riccardo Muti – the latter remaining one of the finest versions on disc ever. Manfred is often considered a pretty hard deal, but Ashkenazy and the Philharmonia made the magic work again. Sonority, orchestral balance and transparency, sense of architecture, well-judged dynamics and keen dramatic timing coalesced into a magnificent reading, viscerally thrilling in its highly-charged dramatic convulsions but also compelling by its emphasis on Tchaikovsky’s search for unusual instrumental color. The huge orchestra, anchored on 8 basses, showed no weak spots and responded as a crack team. The quality of the desk leaders (Samuel Coles’ first flute and Gordon Hunt’s first oboe in particular), the warmth and flexibility of the strings were exemplary throughout. The brass, often helped by Andrew Smith’s tremendous timpani, sounded glorious and were well integrated in the orchestral mass. Ashkenazy knows his orchestra can handle his brisk tempi in the first two movements with little or no loss of detail or accuracy. The swifter than usual tempo for the opening section made the ensuing buildups and sonorous climaxes sound even more ineluctable. He also knows exactly how far to push the orchestra and while tutti generated a lot of heat, they never became shrill or coarse. With playing of this conviction and brilliance all criticism about the work being overlong becomes pointless. Performed without any cuts, unafraid to show its colors and ending with the Royal Festival Hall organ in full splendor: this is, take or leave, Tchaikovsky’s Manfred as it should be. In interesting contrast with the massive forces needed for Manfred, the orchestra appeared before the break in a slimmed-down formation for Mozart’s 5th Violin Concerto, with American violinist Eric Silberger as soloist. Silberger is a laureate of the XIVth Moscow International Competition and the Michael Hill International Violin Competition in 2011. He was also mentored by Maazel at his Castleton Festival in Virginia. He played the concerto in what many would consider an old-styled way – and in fact there is no need to imagine anything negative with that: warm, big, unaffected, firmly rooted within the orchestra, with an effective brief cadenza of his own, this was magnificent violin playing. Ashkenazy’s accompaniment was equally elegant and balanced. This performance also reminded us this is a live concert, where even at this level things can occasionally go wrong, as they did in the Rondeau. What sounded like a blackout right before the so-called “Turkish” section threw everybody off track for a few seconds. It didn’t spoil an otherwise excellent performance, however, and Silberger returned with a vengeance with some brilliant playing for Mozart’s Hungarian rhythms. An appreciative audience was gratified with an encore of Paganini’s Caprice No. 24, which Silberger dedicated to maestro Maazel and dispatched with superb panache. Most of this concert’s program was kept as Maazel had planned it, yet Ashkenazy added the Rêverie from Alexander Scriabin (who died a hundred years ago) as a miniature curtain-raiser. This is a short work – the composer’s first attempt at orchestral writing – and unlike some of his more famous later pieces very restrained and devoid of any excesses. Ashkenazy clearly loves this music and by coaxing magnificently transparent string playing, brightened by ravishing winds, he was able to show us why. Categories: Concert reviews | Tags: Alexander Scriabin, Eric Silberger, Evgeny Svetlanov, London Royal Festival Hall 19 April 2015, Manfred Symphony Op. 58, Marc Haegeman, Mozart Violin Concerto No 5, Philharmonia Orchestra, Pyotr Ilyitch Tchaikovsky, Royal Festival Hall, Vladimir Ashkenazy | Permalink. Once upon a time, ballet music used to be the territory of specialists. Musicians groomed in the theatre or with a special flair for drama gave ample proof that ballet scores didn’t have to remain limited to stage performances. Conductors like Ernest Ansermet, Pierre Monteux, Anatole Fistoulari, Antal Dorati, Evgeny Svetlanov, Gennady Rozhdestvensky, among others, brought elegant and vivid accounts of the great ballet scores by Tchaikovsky, Delibes, Prokofiev and Stravinsky which have stood the test of time. The appeal of these recordings didn’t stem from this often supposed suitability as dance accompaniment. Rather it was a profound understanding of the mechanics of these particular scores, reviving the particular spirit of each ballet on disc just like any seasoned opera conductor naturally would do, which secured them a place among the great orchestral works. Nowadays, however, when several ballet scores have been widely accepted as “serious” music, everybody seems ready to take a swing at them. And the results are variable. Categories: CD reviews | Tags: ballet music, ballet scores, Bergen Philharmonic Orchestra, James Ehnes, Marc Haegeman, Neeme Järvi, Pyotr Ilyitch Tchaikovsky, Russian ballet, Swan Lake | Permalink.